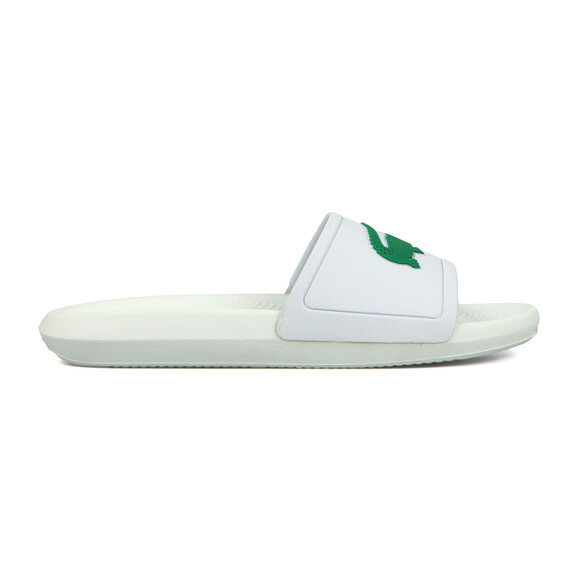 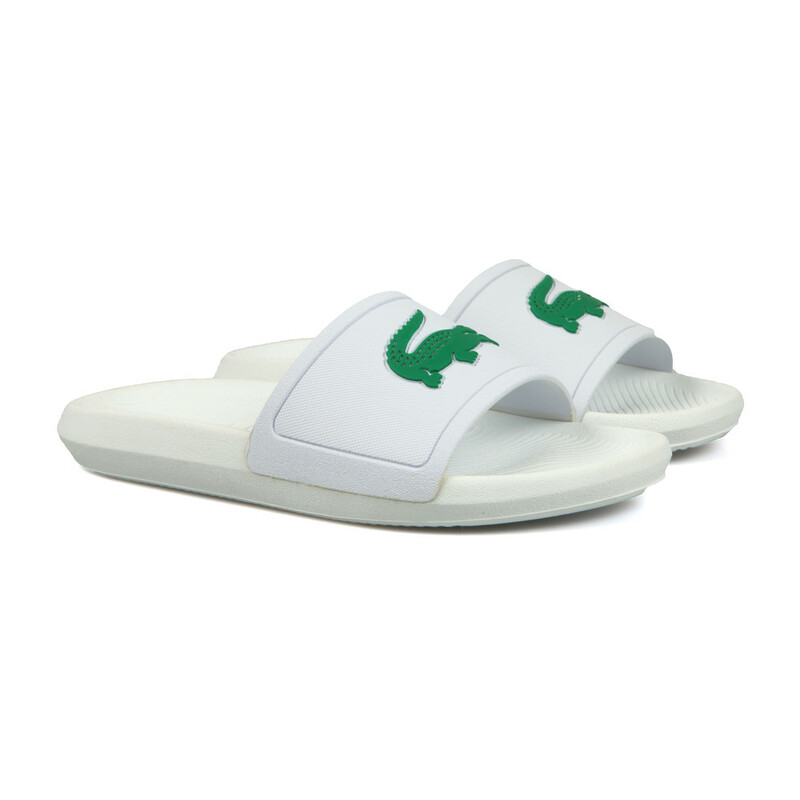 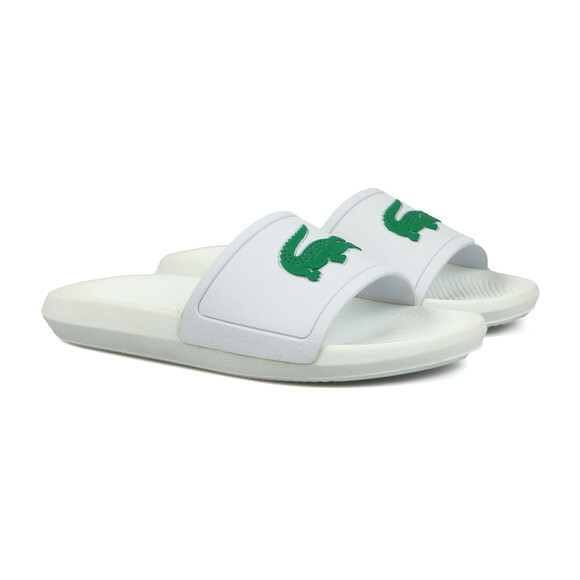 Lacoste Croco Slide in White/Green. 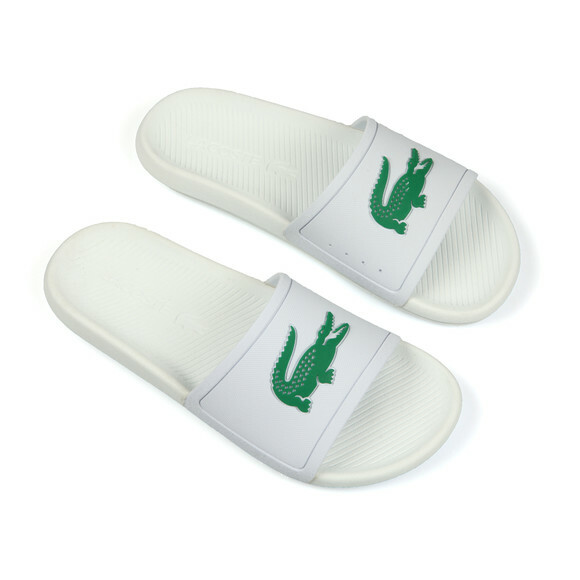 A simple design with a large Lacoste crocodile logo across the foot strap. 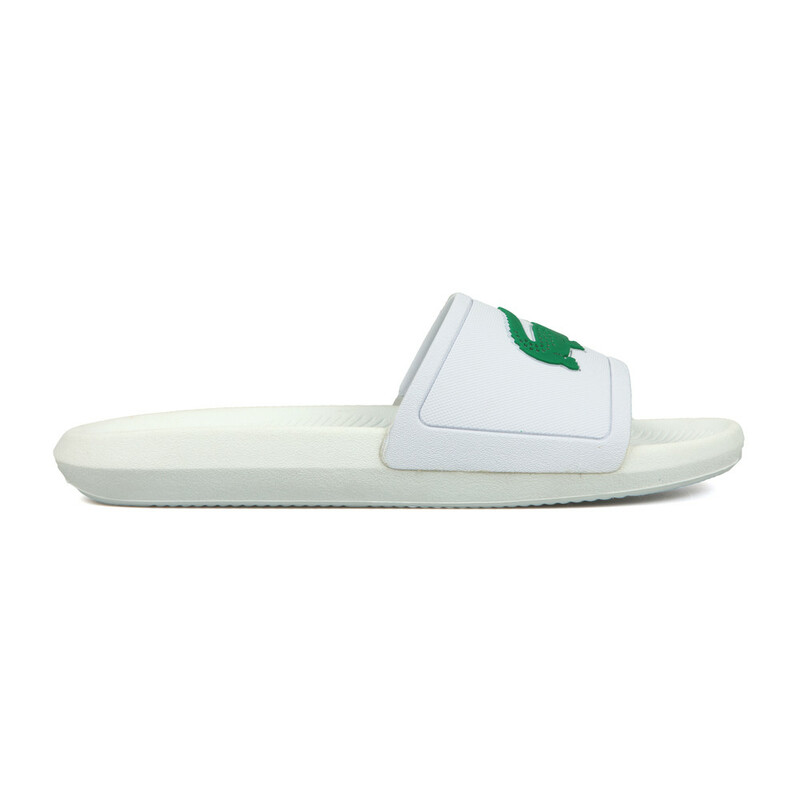 The sole is designed to be super grippy on wet surfaces.